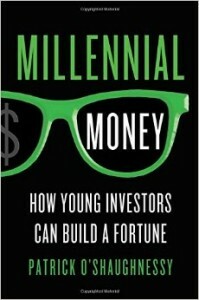 Is Millennial Money the right book for you? 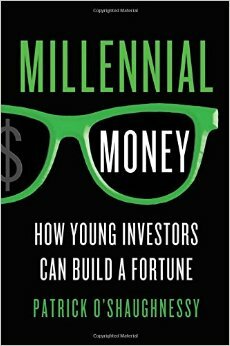 Millennial Money , by Patrick O’Shaughnessy, explores how young investors can build a fortune. And in this book review, you’ll learn everything you need to know about Millennial Money. So by the time you’re done reading, you should know for sure if this is the right investing book for you. Sound good? The reason I bought this book was because I heard the author on the Masters in Business Podcast, hosted by Barry Ritholtz. The investing methodology that O’Shaughnessy shared in that interview was enough to make me buy the book. And I’m glad I did. Millennial Money is a best practice guide for young investors. But even if you aren’t in your 20s, you can learn a lot from the investing wisdom in this book. The book covers a lot of ground, but it does so in a logical and easy to understand way. Specifically: Millenial Money tells you to get started, be different, and get out of your own way. Millennial Money starts out by talking about the importance of investing. It builds a case for saving your money and investing it in the stock market. The book uses compelling data and insightful analysis to show that young investors do have an investing edge. But it doesn’t stop there. Next, Millennial Money discusses the value of low-cost indexing. And then it goes a step further. I was happy to see the book challenge the myth of the efficient market. It explains that for those who are seriously interested, you can out-perform the market by being different. The great thing about Millennial Money is that it gives you a very actionable framework to help you find your own investing ideas that can drive long term portfolio outperformance. What’s not to love about that? The book actually spends quite a bit of time analyzing different approaches to investing in a simple way that most people can understand. Now that you know a little more about Millennial Money, let me tell you my two favourite parts. Millennial Money was a really great read. But for me, there were two parts that stood out most. The second best thing about Millennial Money is that the book is filled with data. You can have faith in the Millennial Money strategy because it’s the result of near-endless analysis and backtesting. I appreciate this quantitative approach and think it makes sense for investors to be objective in managing their portfolios. The two factors above helped me get more out of Millennial Money. But you should know they’re just the tip of the iceberg. The book is packed with information and anecdotes that make it both engaging and educational. It’s easy to read and you can definitely get through it on your commute without compromising understanding. So by now you’re probably wondering, does this book have any drawbacks? Millennial Money – A Single Weak Spot? I’ve been trying to find something bad to say about Millennial Money; but to be honest, the book is really quite good. 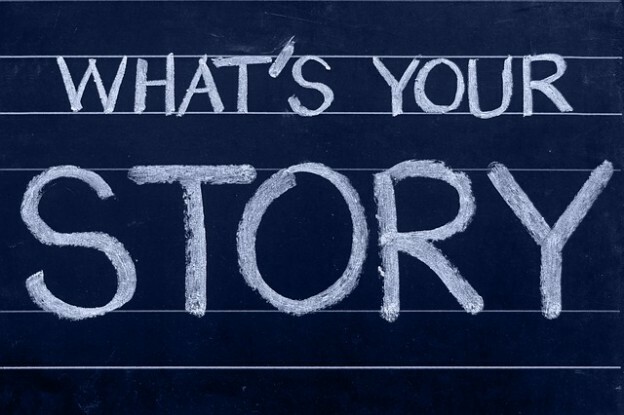 It introduces a compelling approach to investing that should appeal to an entire generation. Millennial Money also provides a list of additional recommended reads. I always like when authors provide more material for readers who are especially voracious in their information appetites. To be sure, I should clarify that Millennial Money isn’t a technical analysis system or stock trading strategy. It’s an investing framework that can help you snowball your money for years to come. There is definitely an active management component but it’s not a fast moving day trading approach to markets. Make sense? Okay, I think you’re getting a good picture of Millennial Money let’s finish this book review. And hey, if you’re still on the fence about this book, why not check out the video book review below. This’ll give you even more insight into the value of Millennial Money. This entry was posted in Stock Ideas and tagged investment book reviews on May 31, 2015 by Jworthy. A Short History of Financial Euphoria by John Kenneth Galbraith is a classic investing book that highlights the most exuberant moments in financial history. So in this book review of A Short History of Financial Euphoria I’ll tell you everything you need to know. That way, you can decide for yourself if this is the right investing book for you. And to be honest, I can’t actually remember how this book came up on my radar. But it had been lingering in my Amazon shopping cart for awhile so I finally pulled the trigger. And I’m very glad I did. Doesn’t mean this book isn’t valuable! The author does a fantastic job recounting all the famous market bubbles over the years: from Tulipmania onwards. But this financial history book also does a great job of helping you extract invaluable lessons from the annals of time. A Short History of Financial Euphoria starts out by introducing the concept of bubbles. Galbraith explains that when (1) “a new era” and (2) excessive leverage combine with (3) the arrogant intelligence and ambition of capitalists, we are headed for a euphoric blow-off top that is sure to collapse. A Short History of Financial Euphoria also notes that, for the most part, really big bubbles tend to be 30-40 years apart. The author observes bubbles are more likely to form when a new generation starts making the decisions, and consider themselves too smart to make previous mistakes. From there, the book profiles a series of classic bubbles. Each chapter explores a euphoric market rise. Again and again the book illustrates the forces that inflate, and inevitably pop, the bubble in question. And the author really does you a favour by pointing out the fatal flaws in play, which is valuable. The other neat thing about this book is that it has stood the test of time. The author was born (in Canada!) in 1906. And he lived through a number of bubbles himself. 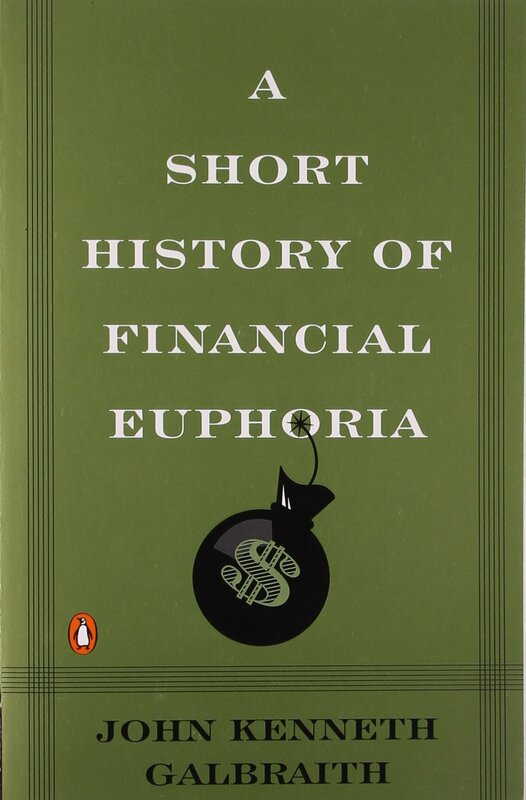 The original version of A Short History of Financial Euphoria was published in 1990 and the version I’m reviewing was published in 1993. But this book was a hilarious read. Maybe it has to do with making fun of how people consistently lose their shirts on absolutely absurd speculations. Regardless, you’re sure to chuckle along and shake your head. Seriously! The book was fast-paced, well-written and absolutely entertaining. The author’s tongue is firmly planted in-cheek. It’s always nice when finance books aren’t an academic tome (in contrast to Security Analysis). Especially as the summer months come upon us, a quick and easy financial read is always nice to have at hand. 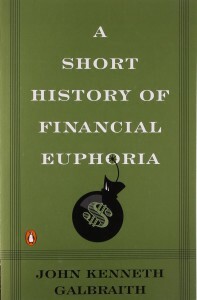 For this, A Short History of Financial Euphoria fits the bill perfectly. The one drawback of A Short History of Financial Euphoria is that it’s so short. The book doesn’t dwell too much on the details of each financial crisis, panic or depression. Instead, the book flits from one disaster to the next connecting the common causes. I think this approach is effective. But I imagine there are some readers who’d want a little more. Most of the juicy details in A Short History of Financial Euphoria are excerpts from another book that I’d previously reviewed. So for readers that really want to dive deep into the psychology of crowds, bubbles, and panics you will want to check out Extraordinary Popular Delusions and The Madness of Crowds, by Charles Mackay. Where A Short History of Financial Euphoria comes up short, this book fills in the blanks. That said, I still the former is probably more than enough for most people. Make sense? A Short History of Financial Euphoria is a really great book. It’s quick, easy and fun to read. What more could you ask for, right? Well, for those reasons and many more I encourage you to pick up this book on Amazon.com today. If you’re still feeling a little unsure, you might also want to check out the video book review below. I shot the video right after finishing the book so take a look to get my immediate impressions. This entry was posted in Stock Ideas and tagged investment book reviews on May 28, 2015 by Jworthy. Is Confronting Capitalism the right book for you? So in this book review, I’ll tell you all about Confronting Capitalism, and what you should expect if you decide to read this book. I’ll tell you my favourite parts and any areas where there’s a little room for improvement. Plus you’ll discover why this book is easy to understand and a worthwhile read. Sound good? I should thank the good people over at FSB Associates for sending me a copy of the book to review. I am always happy to find new finance books, and this is no exception. Now let me tell you a little more about Confronting Capitalism. This book, Confronting Capitalism , is exactly what the title suggests. The book is all about looking at the prevailing capitalist system and being honest about where it comes up short. Now to be clear, the author is by no means a communist or someone who overly apologetic for capitalism. But he is realistic that the existing situation isn’t perfect. It’s kind of refreshing. 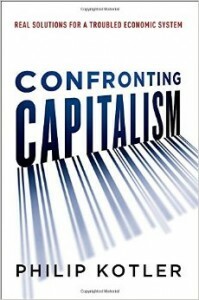 Confronting Capitalism dedicates one chapter to each of the 14 major shortfalls of capitalism. Most of the issues in each chapter are probably things you’v heard of before, which makes the book quite easy to understand. Things like rising income inequality, environmental exploitation and the “financialization” of American industry are byproducts of our current capitalistic system. And they aren’t exactly positive end results either. But Confronting Capitalism doesn’t stop at the problems. At the end of each chapter, the author proposes potential solutions, workarounds and strategies to improve our capitalist model. 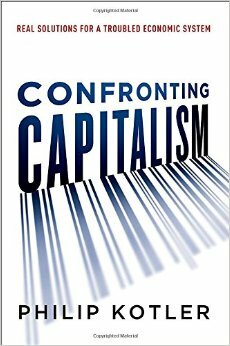 So suffice it to say, when you read Confronting Capitalism you get a high-level view of capitalisms short-comings, and an actionable roadmap to improvement. After giving it some thought, I realized there’s one thing Confronting Capitalism does particularly well. In contrast to other books that criticize the current state of our economic system (The Great Deformation comes to mind), Confronting Capitalism goes a step further. I really appreciated how the author of this book decided to include suggestions for improvement. That’s because it’s incredibly easy to criticize our existing situation. Anybody can play the blame game. But it takes another type of thinking to sit down and propose ideas to help us move forward (even if they aren’t all absolutely perfect). I very much enjoyed how Confronting Capitalism starts at the present and looks for realistic ideas for improvement. And since the book is relatively short, the author is forced to be focused and concise when writing about his ideas to improve capitalism. And aside from the fact that you might disagree with some of the solutions proposed in the book, I think anyone can appreciate the constructive nature of drawing attention to these issues and trying to build on them. Is Confronting Capitalism too Simplistic? Some readers might be skeptical of the idea that can capitalism can be improved upon. But I (perhaps, naively) believe it can. And I think books like this are an important part of the dialogue. The book is well-written, to the point and focused on a clear message. You can’t ignore the points it makes. The only criticism I foresee from readers is that the book is a little bit simplistic. To be honest, I don’t mind this approach because curious readers can easily research issues they want to learn more about. And it makes Confronting Capitalism an effective primer on the issues at hand. It’s easy to get started reading this book and once you start you’ll be compelled to finish. So for these reasons, I think the pros of simplicity outweigh the cons. Make sense? Confronting Capitalism is an interesting and timely book that provides a great overview of the issues facing capitalism. For anyone looking to get up to speed with these issues, I recommend buying Confronting Capitalism on Amazon today. If you’re still a little unsure, you can also watch the video book review below, to get even more information about Confronting Capitalism and whether or not it’s the right book for you. This entry was posted in Stock Ideas and tagged investment book reviews on May 14, 2015 by Jworthy. As an investors, conference calls can be one of the best tools at your disposal. They’re that relatively rare opportunity where you get to hear straight from the mouths of management. And for me personally, conference calls (and their transcripts) have been essential part of my investment due diligence. Forget about speculative news headlines and unfounded rumours. Conference calls typically allow you to get the truth, straight from the source. It’s an incredibly easy way to get yourself up to speed on the key initiatives your portfolio companies are undertaking. And it allows you to judge for yourself whether or not analyst estimates are founded in fact or fiction. Conference calls offer you important insight on how the investment narrative. And, at least in my humble experience, there are a couple of reasons this story arc is worth paying attention to. The reason is, when you understand the consensus narrative about how a company is doing, you can start to determine whether it is undervalued, over-valued, or just about right. For example, in the Investment Checklist and The Art of Value Investing, the authors explain you ned to know what the street thinks (consensus narrative), so you can determine if your “variant perspective” is valid, or if it’s been discounted by the stock market already. Only then can you start to have some confidence in your value investing thesis. So basically… if you want to do some second-level thinking about your stocks, then conference calls are a great way to help you ask the right questions. They can really help you see what the analyst community is expecting. And it’s how you can start to understand what’s “priced-in” to your stock at the current market cap that you can really start having investment insights. It’s for those reasons, that I think conference calls are some of the best investing resources you can find. And best of all, they’re free! So head on over to Seeking Alpha or ConferenceCallTranscripts.org to get up to speed on the latest conference calls for your favourite companies. This entry was posted in Stock Ideas and tagged conference calls on May 6, 2015 by Jworthy.